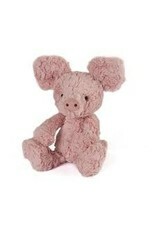 Jellycat Squiggle Piglet - Grow Children's Boutique Ltd. This little piggy squeals with delight when you cuddle him! A barnyard stuffed animal friend by Jellycat to play with or add to your collection. 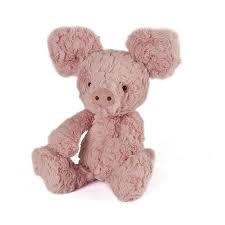 Squiggle Piglet has a tousled pink fur coat with a little pink snout.